My brother-in-law showed me some water he had heard about from a neighbor who is a biologist. The neighbor periodically shocks streams and does surveys of wildlife. This water was supposed to have surprisingly good populations of wild fish. We first hit the water about an hour before dark. The canopy of trees and the stream running through a valley made it even harder too see. The caddis I cast would disappear into the currents and lines of running water. I ended up switching to a nymph and had a little success. Bugs started to come off the water pretty steadily and I could see fish splashing hear and there. It was so dark I couldn't make out what the bugs were. Our safety became an issue and we decided to pack it in and hit the stream in day light. The anticipation to hit the creek was pretty high. We knew there were fish in there and the water seemed to have hardly any fishing pressure. There wasn't any foot prints or trash that give away signs that a place is visited often. Usually the water close to where you get in isn't that great. I figured this water would be the same. My brother-in-law was able to hook up right away in a small pool. The fish was a nice brown and a lot bigger than fish you'd expect to be in water like this. The stream stayed pretty skinny. We took turns at pools and there was one plunge pool in particular I kept sticking with. I have a history with plunge pools. It seems that most of my biggest fish have come from them and they are magical places. The water is always broken and blurred. The bubbles make it so you can see the bottom but can't quite make it out. No matter what angle you look at it. There could be anything under there and that's what makes them special. I believe big fish hang out in these places because there is a constant conveyer belt of food being dumped in. Usually the bottom of the pools is dredged out and the depth allows for fish to grow larger. This is my theory any ways. I kept working the plunge pool with purpose and almost when I was about to move on my line shot back up current sharply. The fish was plump and it was quite a tussel with the 3wt. I was glad I had my net and when the fish came splashing in I was elated to see it was a brown. I don't catch many browns and almost never wild ones. The browns coloring was the mood of the season. The temps are August like and way too early to be in May. The fish was still beautiful and had a buttery yellow and varied spots you usually only find in wild fish. When I released the fish it disappeared back under the white bubbles of the plunge pool. It's always amazing the size of fish that can live in shallow water. We fished on taking turns at various pools. The water gradient started to get steeper and the hiking started to get a little intense. There was a lot of rock hopping and log crossing. Many times you would be crossing branches and logs just hoping they didn't move as you crossed. The hiking and competitive nature started to make us branch off and fish pools by ourselves. I came to a pool where I lost a fish the night before. A fished leaped for whatever was hatching but I couldn't get anything to hit. Today it was different. After a few casts the fly was slammed and the fish kept tumbling in the middle of the pool. It fought hard for it's size. The colors were striking. It was one of the prettiest rainbows that I've ever caught. The views started getting better too. A bunch of times I let out a "ooooh yeah, there has to be a fish there" when viewing a section. Most of the time we were right and even if we didn't catch a fish I knew there had to be one there. They just didn't like my fly. The pools started to get deeper and my imagination started to go crazy. I kept imagining 20inch bows lingering at the bottom just waiting for the right morsel to drop in. One in particular I hung with for quite awhile. After a Indiana Jones moment of sliding down a wet rock I was able to find a place between the trees to cast. I worked the whole pool with a dry and had zero interest. I had been wanting to run a big fly deep all day and I figured this was as good as any place to try it. I put on a two flies and an indicator and cast near the plunging water into the pool. The indicator stopped I set the hook and had the familiar feeling of a snag. I thought for sure the fly was going to come off but miraculously it came free. A few more casts yielded no results. I wasn't giving up I knew a fish had to be in this pool. I cast into the cascading water fall and before I could even grab the fly line my indicator shot under the water. This kind of strike usually means a big fish and this was the case. The fish didn't even come up near the surface it just fought deep in the pool. The depth of the pool made it hard to see the bottom and I wasn't sure if the fish could wrap on a submerged log or tree branch. I tried pressuring the fish near the surface but it was giving the 3wt all it could handle. Then the fish followed the pressure and shot out of the water then it did what trout often do in an impossible arial display. Once a fin touched the water it jumped instantly again. My main focus was just landing this thing. It was one of the few times I was happy I had my net. When the fish finally tired I was almost shaking because this fish was really large for a small wild stream. The icing on the cake was that it was a brown. I tried to get a great picture of it but it kept flopping around and I didn't want to harm the fish. I snapped this quick one then let the fish free. It was time to leave and honestly I couldn't see it getting better than that. The two trout trips I've had recently have been some of the best fishing experiences I've had in a long time. I'm really getting fond of this wild water thing. I'll continue hunting them out and being enamored with plunge pools. I decided to take the camera a long with me to the pond. I forgot the tripod attachment so I had the camera laying on my back pack. Not the greatest angle but at least it's something to watch if you can't get out and fish. I planned a small wild trout fishing trip with some friends. I researched a bunch of different opportunities. Almost obsessively. Looking at maps for places to fish never seems to get old. On the way up to the stream I sat in the back and continued to study the maps and navigate our way to the stream. Only one of us had been there before and they weren't quite sure where it was. The scenery changes so much with the seasons it's easy to become disoriented. When we found what looked to be the creek we geared up quickly. The main reason I wanted to fish this area was the opportunity to catch wild brook trout. My friend told me the bottom sections hold rainbows then once you hit a certain elevation brookies start to get into the mix. We hit the trail and I forgot how far you can go and not realize it when you're talking with buddies. We passed up a lot of inviting looking water and there was one section that was too tempting and we had to throw our lines in. I hooked up with a small dace but no trout. We continued back on the trail and gained some elevation. There had been some recent rain and there was a mist and fog that lined the trail. It had been a while since I hiked a mountain area after a rain in the summer. A recent jeep track became a small stream with rain water. The bigger puddles were full of tad poles most likely from tree frogs. The flowers were starting to come out and the wet landscape made salamanders venture out from the creek. Eventually we couldn't take it anymore and had to start fishing. The sections just got prettier and prettier. The stream bottom started to change from a rocky sandy bottom to mainly cobble stones. The fishing was slow and I couldn't seem to figure out what the fish wanted. I felt something crawl on my arm. I looked down to brush it off and noticed it was a good size black stone fly. I switched up from a double nymph combo and tried a good size stimulator. On my first cast I had a hit. The fish was too big to be a chub or dace. It had to be a trout. Like most wild water you only get one chance at the fish. I moved on and continued to fish pockets that could hold fish. There was one hole close to the trail where I figured everyone fished. It was a large plunge pool that looked like it obviously held fish. Most people that see this probably fish the pool, but how many people fish the tailing run? That seemed to be the best place to find less pressured fish. The water curved around a rock and along a bank. I tried to make sure there were no mistakes on my end. Gave the fly some dry shake and put some floatant on my leader. I didn't even really cast. I just let some line out and drop the fly into the main part of the run. I watched as the fly floated down bouncing along the riffles curved around the rock then was ambushed by a nice trout. This was one of those takes where you couldn't not catch the fish if you tried. Unless the fly just broke off. That fish was getting the fly no matter what. It was a fun little fight on the 3wt. It's always fun to find out what fish will hit but even funner when it's dry flies. I hiked up further catching fish here and there. I figured the higher I went there would be a better chance at catching a brookie. I came to a point where the trail started to get serious gradient. You could tell most people didn't travel this far. The trail became a single track and there were downed trees crossing the trail. There was a strange noise in the bushes and as I got closer I noticed a turkey on the bank scouting me out. The trail started to work away from the stream and I was worried it wasn't going to go back. I kept hoping and hiking and I could hear the roar of the creek getting closer. Eventually it was close enough to where I could do a little bush whacking and get to a nice spot. My first cast had a fish slam the fly knocking it into the air. I kept working the pool and I would get recent follows but fish wouldn't really commit. It did seem the fish were more interested if the fly smacked the water then if it landed softly. I meant to cast in the middle of a run and landed just to the right in some slack water. I watched the fly and waited then just before I was going to pull the fly off the water a trout moved out of the run towards the fly. 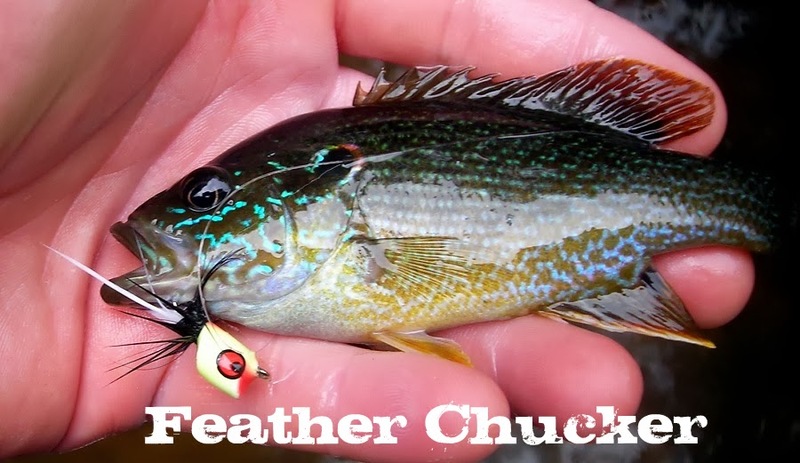 The fish moved at a pace that was fast but slow enough that I could make out all of it's coloring and beauty in the slack water. The fishes back broke the surface and it sipped the fly in and turned back towards the run. It had to be one of the prettiest takes I had every seen. The movement was so natural it was a chance to experience what this fish probably had done 1000 times before. I set the hook and the fish instantly shot out of the water. The fish took off downstream and tried to wrap around some logs. With some patience I was able to free the fish and land it. A very fat and healthy 9inch rainbow. The experience made my day and it wasn't going to get much better than that. I fished a little more but at a very slow pace that allowed me to enjoy the scenery. It was an amazing day even with no brookies. I constantly look at fly fishing related topics and gear. A trend that I have found becoming more common is species specific fly lines. Rio seems to be at the head of the pack with this. The manufacturer has 9 different trout lines alone. To me it seems like a smart marketing ploy but what I don't like is some of the descriptions. 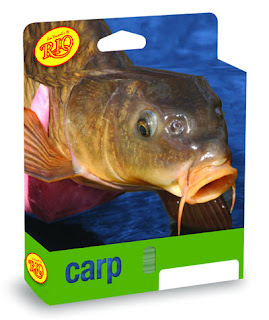 I recently looked at the carp line. Here is the description from Rio's website. "Combines a medium length head with a smooth front taper for a subtle presentation. 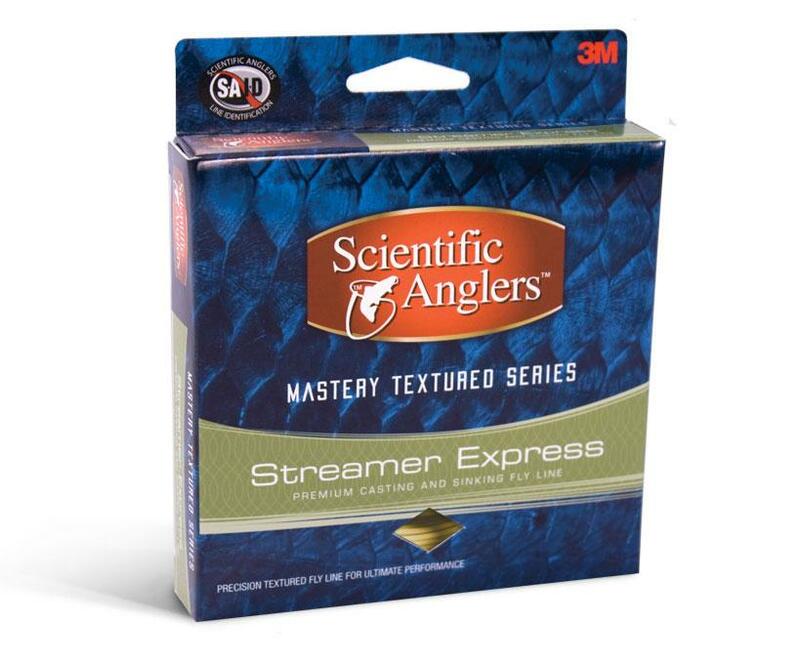 Wary carp will not be spooked by either the presentation, or the camo olive color." Talk about bold advertising claims. I really doubt Rio would take your line back and refund your money after you claim every carp you cast at still spooked. 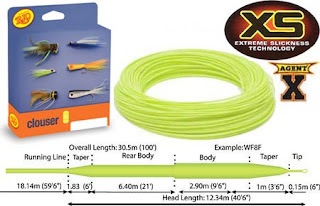 Even with my skepticism I still wonder if these fly lines give you an advantage fishing for certain species. 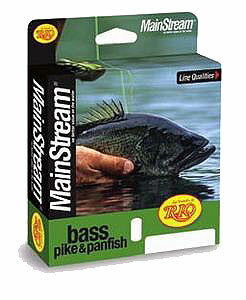 The bass, pike & panfish line description offers a little more realistic description. This is definitely a more practical and realistic description. Although is this just a selling tactic? 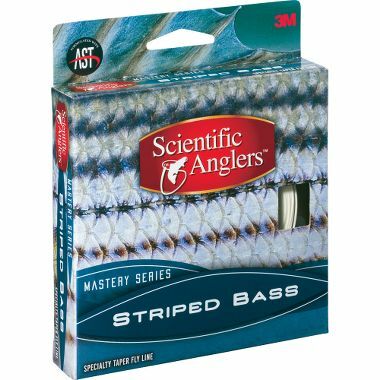 Of course "Bass Line" sounds more attractive than 8wt floating line. Is there really a difference? Rio isn't the only one to put fancy names on their lines. Other manufacturers are doing it as well. Usually when fishing for stripers you use sinking line. Line manufactures know this. What would catch your eye more a generic sinking line logo or this? Again I have no problem with this. I just wonder if there really is a difference between one line over another. I personally have never bought a fly line to target a specific species. I use floating line 90% of the time. Exploring some more I also found that line manufacturers not only sell species specific lines but also fly specific lines. It's really amazing how much marketing there is out there for fly fisherman. The selling tactic is have the right gear for the right situation. I even fall for it myself from time to time. If you get too carried away you can have a rod and line for any situation. Which is great but how many rods can you carry with you at one time on a stream? I would hate to get to a point where I start saying dumb things like "Sorry, I can't go fishing with you tomorrow I don't have any trout line." Took my mother to the monster gill spot. 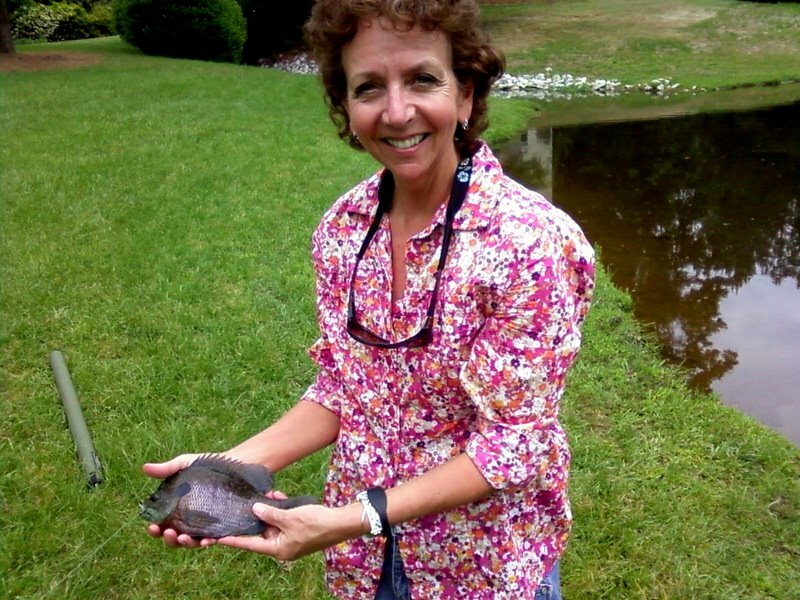 It's almost impossible to fish for panfish and not smile. This morning I checked out a location that was given by a friend. The water was like most around this area. There are many small bodies of water that are on the fence between lakes and ponds. They usually have the same species of fish. A higher end neighborhood was near the lake and I expected to see a no fishing or a residents only sign. Luckily there was no sign and I could see small brim fleeing from the banks as I walked closer. The sun was just coming up and the reflection of the trees were broken by carp fins. I made my way around looking for panfish and bass beds. There was a place where a creek fed in and a grass carp was mudding. I had a popper on and decided to give it a try. There's no way to properly explain the excitement of a big fish going towards a popper. The time between the fish started moving towards the fly and it actually eating it I was in disbelief. I only believed the fish actually ate the popper when I stripped to set the hook and saw an explosion of water and fins. Grass carp fight very strange. I have only caught two but both behaved the exact same way. They would fight for a few seconds then let you bring them close to shore. Once you had them close enough to almost touch they turn around and sprint for deeper water. These sprints show their power and they happen over and over. After about 7 rounds of this scenario I was able to land the fish. I couldn't get that great of a picture because of the lighting and my crappy camera. When the fish took off it doused my legs with water soaking my feet. Last May was the last time I caught a grass carp and strangely enough it was also on a popper. Later I headed to a familiar pond that usually has monster gills. The action was slow in the beginning. I ended up trying something I'm not fond of but works. 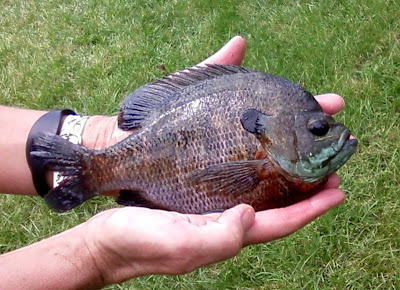 Panfish often succumb to peer pressure. If they see other fish chasing something they follow along. I dropped my popper size down to get the smaller to medium size fishes attention. Then sure enough the bigger fish started to investigate. The monsters seemed to be located in a small 6foot radius. They hit hard and almost swallowed the fly ever single time. I'm not sure why these gills get so big and I don't really care as long as I can catch them. Even with a 5wt these fish can put a nice bend in the rod. In between catches I had a grass carp rise for the popper and refuse the fly. I'm starting to wonder which carp are more aggressive, commons or grassies. May is usually my favorite month to fish. This type of start is only making me believe that more.